Not content with a shop just being a shop, the not so new trend in Paris is for concept stores like Colette where you can shop for art, books, clothes or pop downstairs for a coffee or meal. A cult favourite when in Paris, it is the first place people suggest you go to for an all-in-one shopping experience in Paris. Like Intermix in New York, Collette buys the big designer names as well as new, up and coming labels, one-off pieces and some seriously fabulous accessories that will definitely earn you some individuality points when you get home. 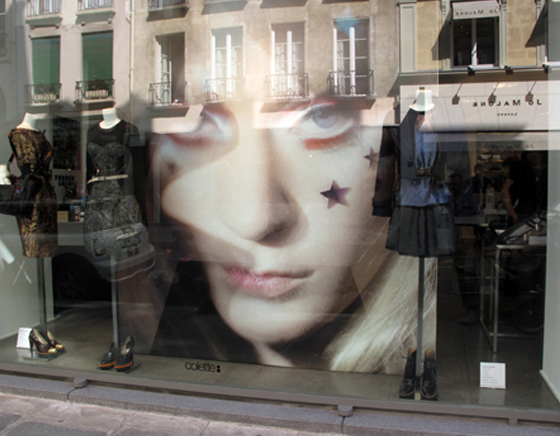 It isn’t just the clothes that people flock to Colette for however, it is the experience of it all in general. While it may be fundamentally a store, people turn up to people watch, have a coffee or lunch in the café downstairs or even to read a magazine. 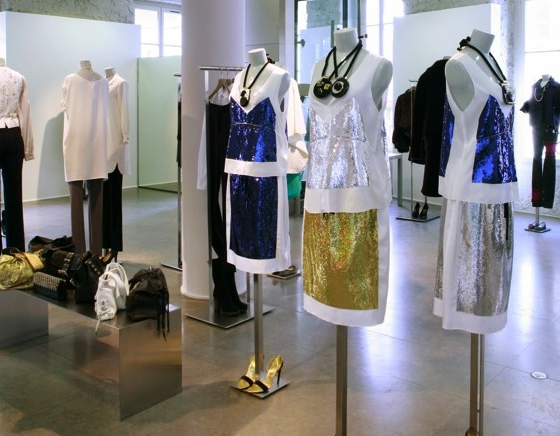 So if you are at either end of the spectrum – ie you want to see what all the fuss is about or if you have buckets of cash to spend on one-off designer pieces, a great pair of shoes and still have change for a 20 euro lunch – it is worth a gander. It can be a little overwhelming as you walk in, there is always a lot of people milling around – but they have wonderful window displays (even live people sometimes), exhibitions, fashion parties and it really is an emporium of style. With books on fashion designers and artists as you walk in, this is where you can spend hours deciding what to buy, and that is before you make it upstairs to the clothes. Look for the accessories here in particular, they have fabulous one-off pieces (my friend buys all her avant garde alice bands and jewellery here). Afterwards, the underground cafe does a great caesar salad, burger and carpaccio.